So the big deal this week was the 14 Days Kickstarter kicking off and by that we mean starting. Local creators and Noted People Who Were Previously Interviewed By The Nerd Watch Hannah Shaffer and Evan Rowland as well as Not As Notable As He Hasn’t Even Been Interviewed By The Nerd Watch Yet Joshua Yearsley spent a lot of time putting together a game that’s worth a look. It’s a small RPG about dealing with migraines and chronic pain in general. Not only is the Nerd Watch super into this game on account of our well-known zeal for promoting local creators, but because our founder has migraines! We feel like it’s a solid way to give people who suffer from migraines a chance to explain their situation to others. It’s also a great way for people to just practice putting themselves in the shoes of someone who has to work around a certain set of challenges. It’s a game that encourages real empathy for other people, and that’s a nice thing for a game to do. In other news, there’s apparently a month-long Where’s Waldo hunt going on in the Valley! Sponsored by Odyssey Bookshop, you can find Waldo in many local businesses, like Thornes Marketplace and the Jones Library. Find all 25 Waldos contact Odyssey about the prizes available! Also! 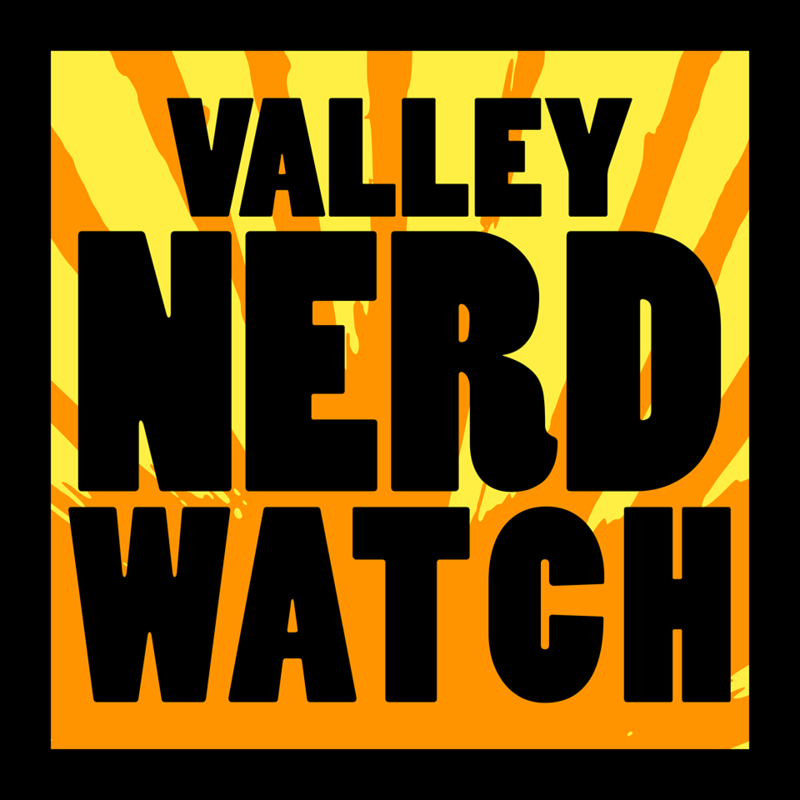 This weeks sees the debut of the long-awaited Valley Nerd Watch Book Club Master List! No longer will we inform you about book clubs in the weekly newsletter only for you to realize you can’t read 500 pages by Tuesday. Now you’ll be forewarned! Smith College has a really wonderful museum! It’s got a lot of interesting pieces, and though the lower levels are still being renovated, there’s more than enough to see on the upper levels! Not the least of which is the spectacular ancient art exhibit by Friend of the Nerd Watch Maggie Kurkoski, who worked there while preparing to get a PhD and is a wonderful genius. Free Second Friday is your chance to see this all for free, and also there are family art activities! Somewhere convenient and comfortable to play and learn Chess provided you are in grades 4-7. No need to sign up, drop-ins are welcome! Chess, the game of dragons, is a great thing to learn young! That way you’re always better than everyone you know and we all secretly envy you. Heroclix! The miniatures fighting game that allows you to stage your own comic crossover event! Though now that we think about it, why not really hammer that home? Have a tournament where the goal is for teams of two to have a fight that will sell the most books! Though that would always lead to two teams of 12 Wolverines facing off, we suppose. Surprisingly, not a board that gives you advice about teens. No, this is a group of teens who are involved in their community and work with Forbes to created teen centered programs. They meet regularly to discuss books, plan events, and share ideas! If you are a teen, and working with a library to plan event sounds fun, and you’re not already on this board, what are you even up to? Go talk to these teens! Come to Modern Myths to experience the origins of the Planeswalkers! They apparently used to not have glowy eyeballs, but over time their eyeballs began to glow a lot. This is your first chance to play the latest ‘core’ Magic set, a week before it goes on sale! This is a sealed deck tournament, all players start with the same number of cards, build their best 40-card deck, and compete for prizes! It costs $27 in advance, and $30 at the door to attend! Come to Off the Wall Games to experience the origins of Magic: The Gathering! Finally, we’ll get to see how the murder of Swamp’s parents turned it into the dark vigilante we all know and love. We’ll see how after being frozen in ice for decades, Black Lotus was revived to fight for the America of today! The event costs $25 to enter, and a pizza lunch is included. Come to the more sensibly timed Magic event at Modern Myths! Midnight releases are for those of us who can stay up until 4:00am without our very beings coming unwound from the universe of solid matter. Again, this event costs $27 in advance and $30 at the door to enter. Build your deck and compete for prizes! Come to Off the Wall Games and play Magic: The Gathering during the Origins Pre-Release! It costs $25 to enter, and a pizza lunch is included. Find out how and why the Serrah Angel’s bones were laced with adamantium! Can you tell the last time we played Magic was 20 years ago? Are you the sort of person who enjoys writing? Or drawing? Also comics? Any combination of the above? You will probably get something out of this friendly monthly discussion about the process of creating a comic. It’s open to writers and artists of all skill levels and experience! Hosted by Kat Cahill, who is nice. Meet up with your fellow coders and web designers! Talk about what you’re doing, what you need help with, and just chat about whatever is on your mind with some like-minded people. All skill levels and interests welcome! Do you manage projects of some sort? Then you can probably use this! Speak to local management folks about how you handle putting together a long-term projects. Get to know other project managers! A good time for all. This Tuesday, dress up in your finest cosplay and come dance the night away with your fellow nerds at Divas! This night in particular is putting the emphasis on glowy, with free glow bodypaint available all night! Learn how to put together the sort of awesome costume you need to make a splash at Divas, maybe! Or just pick up some tips on how to create neat cosplay because it’s a fun time full stop. Puzzlehunts! They sound… not quite like any of the other game categories on this list, so. So they’re here. Anyway, they’re basically these extremely interesting social games that require you to think through a lot of interesting puzzles presented without the aid of screens or boards! Terrifying. Come see Kristin Lieber, a local nerd and puzzlehunt enthusiast/designer, speak about how they work! Then, play Metal Slug while drinking. All ages and experience levels welcome! Come play an RPG! Might the Nerd Watch suggest playing one of our excellent locally-produced RPGs, such as Dread, Questlandia, or Shooting the Moon? Piracy! The high seas, rollicking adventure, swords, lots of clothing that’s all ripped up but still looks really cool on everyone! None of the actually boring parts about being on the ocean! Pathfinder is a solid system for veterans and those of you who’ve never rolled a die. Hosted by Good GM Tim Shields, you’ll find this an easy game to jump into! A free tour of the anaerobic digester! Open to the public every second Thursday of the month in spring, summer, and fall. Tours meet at the store and are lead by a representative from Casella Organics, no reservations required! Who doesn’t want to see how a farm can power itself with bacteria? This sounds amazing! There are too many events to list, but basically if you’re at all into astronomy, this is a chance to get a lot of astronomy fun times in a single weekend. There are lectures, discussions, viewings, and it all seems like a great time to get together with people who share your passions! It’s $22 to register, though the fact that this is now last-minute means you’ll need to contact Dave Gallup at (413) 525-4697!